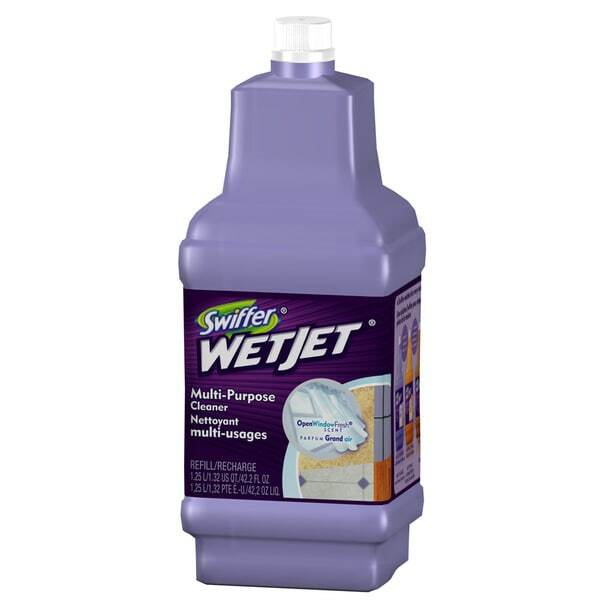 Reveals More Shine Than a Mop* br Swiffer WetJet nbsp; solution dissolves tough, greasy and sticky dirt and has an Open Window Fresh trade; fragrance to leave your house smelling clean. 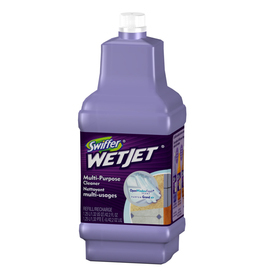 nbsp; It dries fast with virtually no streaks or residue. 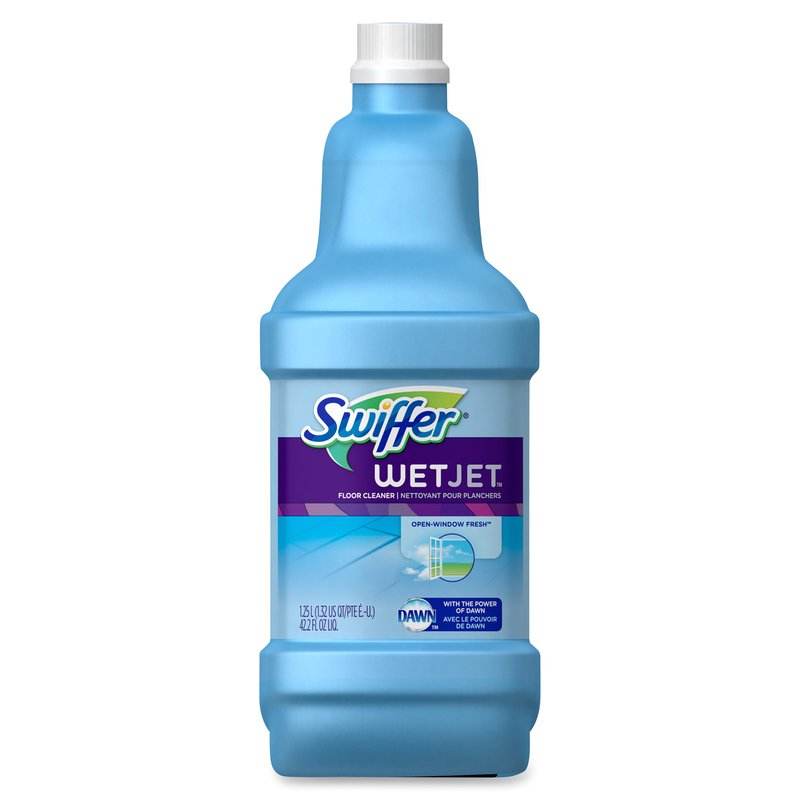 nbsp; Swiffer WetJet Wood Floor Cleaner trade; dissolves dirt and reveals the natural beauty of your wood and has an Inviting Home Scent trade; to leave your home smelling fresh. 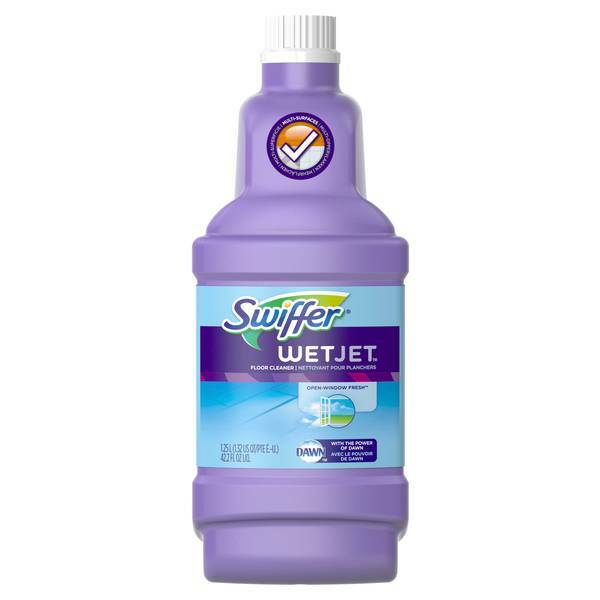 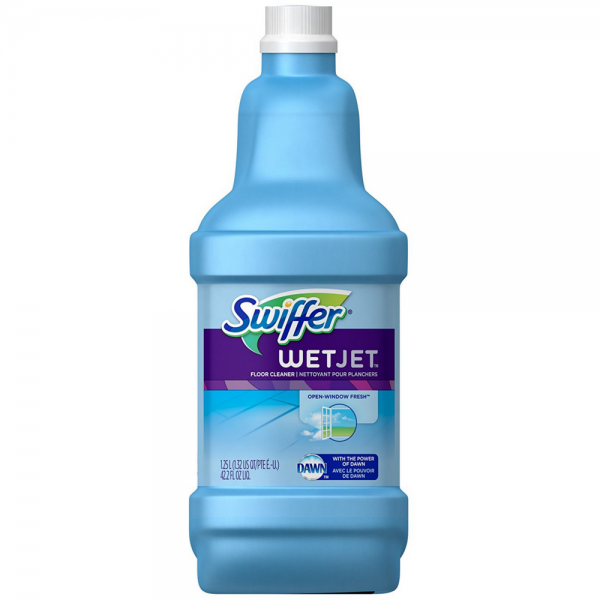 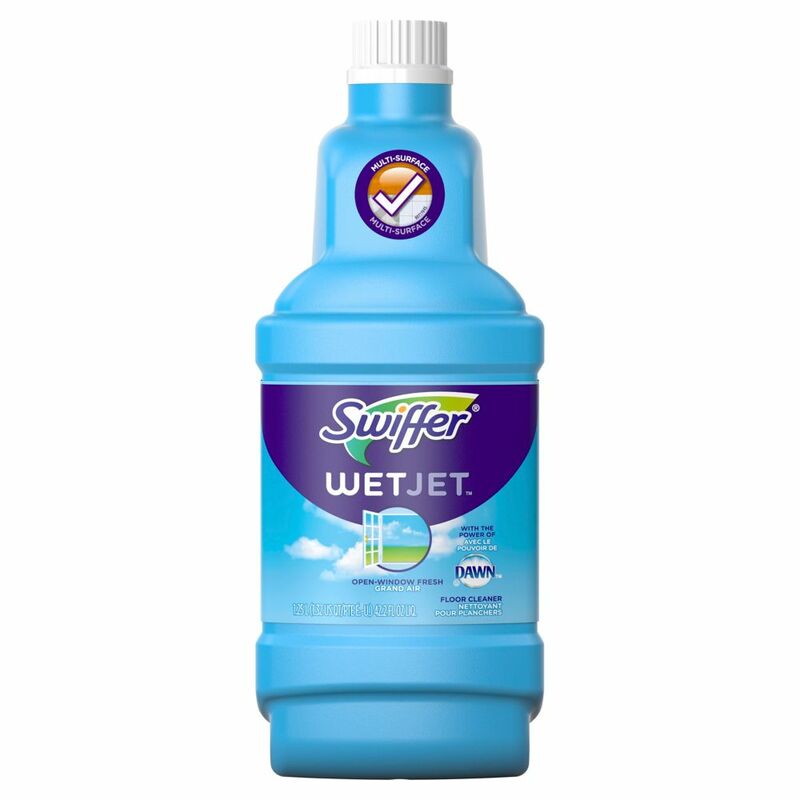 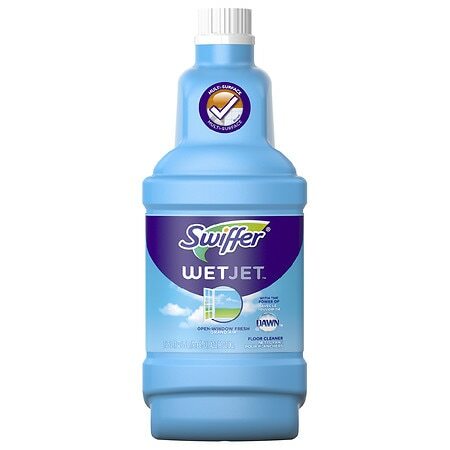 Swiffer WetJet Multi-Purpose Cleaner Refill Open Window Fresh - 42.2 oz.